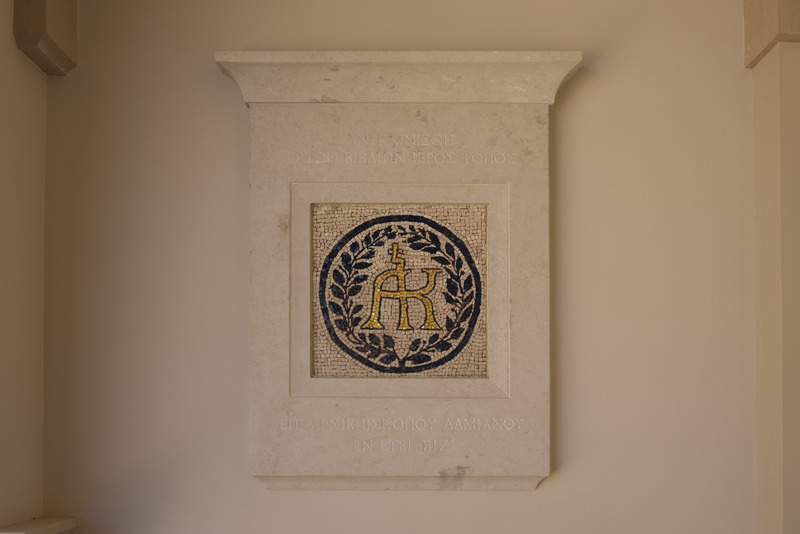 Roberto Nardi created a mosaic of the monastery’s monogram. We placed it over the metal door that leads into the library. The limestone frame is carved with a Greek inscription.